Much is made of the cost of buying a home, but fees are taken from those who rent, too: and for much more less obvious services, like credit checks and the cost of printing out contracts. In fact, just last year the Advertising Standards Agency slammed letting agents for being unclear about their fees. They found that agents charged an average of £310 for their services, but that check-in and check-out fees could raise the total to as high as £600. And that's before inventory charges and cleaning fees are added on. Once you buy a house, the paperwork is done until you move again. This isn't the case for renters, who may face renewal fees and costly rent hikes if the initial deal didn't involve a rolling a contract. The fact that renewing involves next to no effort on the part of agents doesn't seem to matter. While landlords are liable for structural maintenance and expenses, tenants are responsible for basic day-to-day duties like cleaning windows, doing the gardening and changing fuses and lightbulbs. The Landlord and Tenant Act 1985 gives full details on the division of responsibility, but suffice to say that renting does not mean shirking maintenance expenditure - even if that means repairing landlord-owned furniture and appliances. Remember, the cost of fixing anything you neglect can be taken from your deposit, and Government regulations allow landlords to evict you for neglecting your responsibilities. While you can avoid the worry of structural expenses by renting, you also lose the ability to make improvements. Nowhere is this more costly than in energy consumption. The 2013 English Housing Survey found that 11.4% of buy-to-let homes had the worst possible Energy Performance Certificate (EPC) ratings: F or G. In contrast, only 2% of local authority properties received this lowly rating. Even basic energy-saving measures are neglected by landlords. Just 38% of rented homes have cavity wall insulation, compared to 57% of owner-occupied homes. For starters, by leaving a deposit in the hands of a letting agent (or even an independent scheme) your are losing the chance to earn from your savings. Considering deposits are usually six weeks rent, that's an average of £1,133 of investment potential forfeited to secure a tenancy. 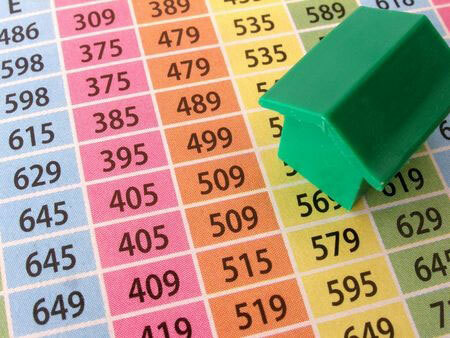 What's more, LSL Property Services found that landlords' average annual returns increased to a record 9.7% in February. A big chunk of that sum comes from rising house prices. That means every month you're fuelling your landlord's investment; instead of putting that money into your own mortgage and benefiting from price rises for yourself. To keep track of your rental expenses, use our free, secure money management software. It collates all of your income and outgoings into one space, giving you a clear view of what you're spending and where you can save. You can even set goals to help you save, and perhaps even build a deposit for your own place. It could be worth it in the long run.